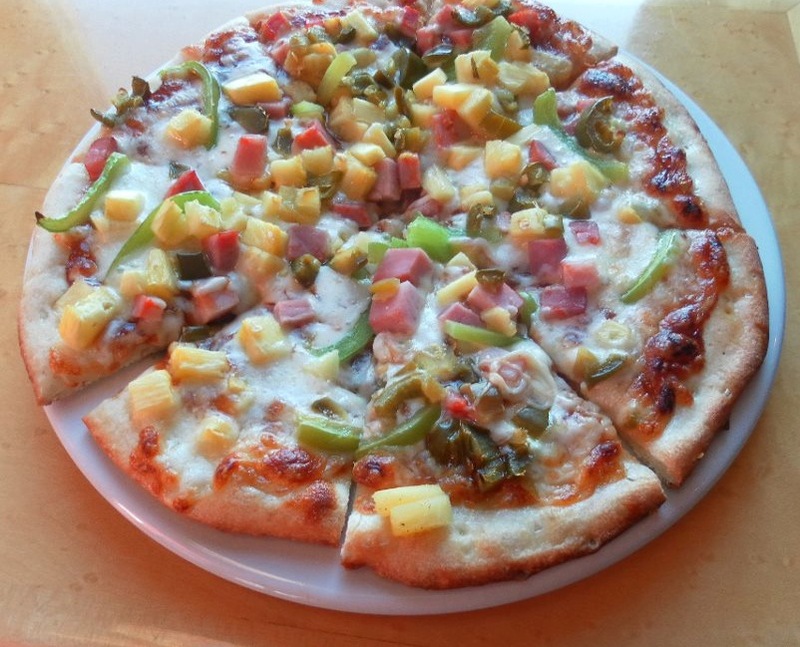 Posted on Jan 30, 2013 by Appleton Downtown Inc.
Hawaiian Pizza is a great way to warm up and enjoy the riverfront at Fratellos. Fratellos has an extensive menu which features seafood, steaks, pastas, sandwiches and pizzas. Originally the Vulcan Hydroelectric Power Plant, Fratellos casual, spacious dining room has magnificent views of the Fox River, or surround yourself with the sights and sounds of a cascading waterfall while you and your friends dine on our quaint patio. Go with the flow at Fratellos Waterfront Restaurant!